If you are living in middle east then Mikyajy in not an unknown brand for you. Previously I'd been raving about Mikyajy and it's sub-brands and did couple of reviews too. Incase you've missed them, you can check them here. Recently I've gotta chance to get my hands on Mikyajy Black I boxed beauty and as I'm one biggest fan of smoky eye it's a perfect to go beauty for me. Read on to find out more about it. Get the classic dramatic black eye or enhance your eyes with this popular tin. Black I contains the essentials for a perfect evening eye. 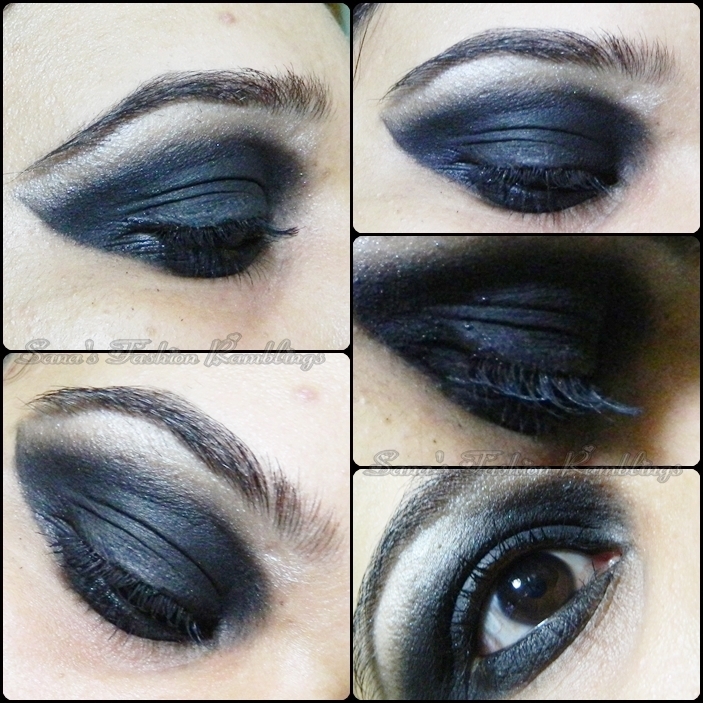 Use the Black I Jumbo Crayon for deep eye shadow and Black I Eye Shadow to blend the smokiness. Define eyes with the Black I Dip Eye Liner and use the Black I Line & Shadow Pencil for a classic smudge or for defination. The Black I Mascara lenthens and thickness to finish off your look. Black I Jumbo Eye Crayon. Black I Line and Shadow Pencil. Black I Dip It Eyeliner. As always, Mikyajy maintained it's soft texture and rich pigmentation of all products through out the box. The Black I Jumbo Crayon is a multipurpose product in my opinion. 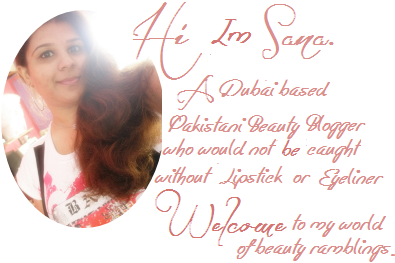 It can be use as an eyeshadow base, kajal or as an eyeshadow. It go on nicely on lid for creating a perfect smoky eye base and blends seamlessly without giving hard time. Black I Eyeshadow is a nice saturated black eyeshadow comes in a decent size compact with having very fine golden glitter that go on lid smoothly but not so silky texture with a GREAT pigmentation and allow effortless and smooth blending. But yes, it do take two swipes if you want a TRUE black color and as far as fall outs concerned it's negligible but I do recommend doing your eye makup prior putting foundation on as I do that everytime so it's no matter how much fall outs one palette has. Black I Line and Shadow Pencil is richly pigmented and just in one swipe gives it's true black color and smudge brush sumdges it perfectly to gives out a true smoky look. Black I Dip It Eyeliner is not so my favorite as I'm seriously not liquid eyeliner person but it doesn't mean it's something least pigmented. It's equally pigmented and dries out into matte finish. Black I Mega Volume Mascara gives a wonderful oomph to eyelashes. But you have to be careful whilst applying it as after 2 coats you may notice clumping which I don't like much also a formula is bit dry and dries out faster but I don't mind it at all as this Mikyajy Black I boxed beauty is another gorgeous addition into my collection. The packaging may be bulky for some of you as it comes in a black square tin box and may occupy space in your luggage but as much as I love it and love creating smoky eyes I don't mind at all traveling with it no matter how much space its eat up. There's a quick look I've created using Black I products. I didn't do a much of blending cause I wanted to show a true pigmentation. Black I Jumbo Crayon as eyeshadow base. Black I Line & Shadow Pencil. Black I Mega Volume Mascara. You are smoky eye lover. You want all in one kit for your smoky eye. You want rich pigmented eye products for creating smoky eye look. You are tin packaging fan. You want black eyeshadow for seamless blending. You want to add some extra WOW effect. You want travel friendly packaging. You cant bear fall off. You find price a bit steep. Availbility may be an issue. I've got my Mikyajy Black I from Safeer Mall Ajman with a price tag of 169.00 AED but you can get it from any of Mikyajy outlet throught out Middle East. Or you can get it from Mikyajy Official Website here. What do you think about it? Take it or leave it? 26 comments on "Mikyajy Black I [Review & Swatches]"
i love your eye makeup here. it's black yet super neat! I lovee it, the eyeliner looks so cool. Ohhh, this looks really good! the packaging is really cool - so sleek! Oh wow, that all black smokey eye looks SO GREAT on you!! I can never pull that sort of look off, but wow! I live here, but I have never tried their brand. So many to try! It's so exciting..
so much black! love this! Wow, that design is simply gorgeous!!! Wow, that is a great all purpose palette! it looks amazing.. at first I thought it was an eyeshadow palette !